When you're looking for superb mud traction combined with outstanding trail riding characteristics, choose the Zilla front and rear atv tires. Light and fast, the Zilla delivers a smooth ride even on rough trails. 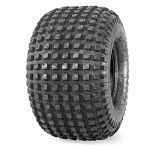 - Maxxis Zilla ATV tires are sold individually. - Extremely lightweight design provides quicker acceleration and mudslinging traction with great braking power! - Added center tread for smoother ride on trails. I did a good bit of research before deciding on the Maxxis Zilla, and the tire didn't disappoint. I ride mostly trails, but when I see a mud hole I can't help but give it a shot. So far, the zillas have been a great tire. Even with the 27" tire on the 12" wheel, with 4 psi the tire still feels very solid in the corners. On top of that, the tire is extremely light for a 27" tall 6 ply. I will highly recommend this tire to anyone looking for a great all around tire that does better than average in the mud. I bought these 30" zillas and everything was great! The price,delivery, and service was awesome. 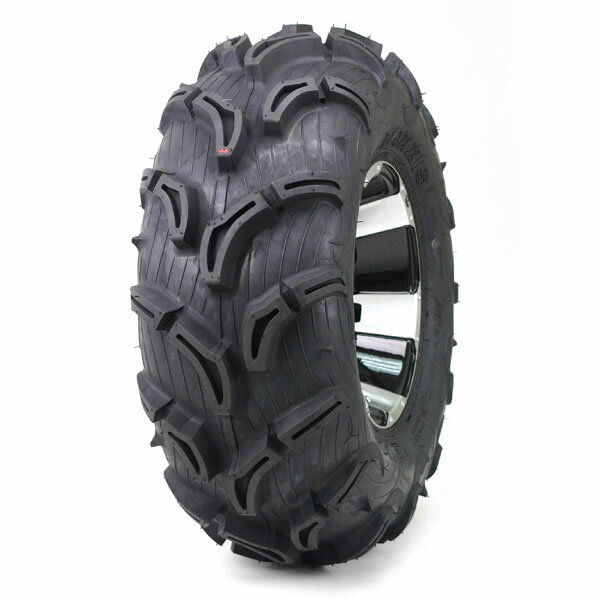 These tires look great on my atv and they perform very well. My experience with Pure Offroad was excellent! Friend of mine told me about these tires and he was right. They still ride good and have good hooks. Very happy with my choice and Pure Offroad. These are great priced tires. Very fast shipping. after i bought these they were on my door step in less in two day. I love the way they handle. they ride smooth but still mean enough to play with. These tires are a great all purpose tire. They did great on the trail and in the mud. Smooth ride, too. Pureoffroad.com has fast shipping and great prices! Both of my other four wheelers have the GBC Gators which I love,So far I am impressed with these also they don't have quite as aggressive of a lug as the gators but bite really well and weigh way less than the gators. So far two thumbs up! 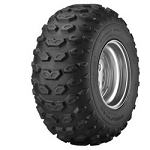 Put theses tires on a can am renegade an they go threw everything,also have a great smooth ride.I highly recommend these tires for any kind of riding.pureoffroad is surely the place to buy anything great prices n super fast shipping will buy again! ok these tires are awesome. was skeptical about the ride of them on hard pack, but the ride isnt bad. not to rough. in the mud they are great. will pull through anything. great tires great price and great shipping. pureoffroad.com is an awesome company that will recieve my future business. Tread, weight, and quality are as expected. What's disappointing is that they run small. Shorter than the worn down Goodyears of the same sizethat they were replacing, and even seemed slightly narrower. I will have to live with them, since they are already mounted. I wish that I would have gotten 27" instead of the 26", and gotten then slightly wider. These are popular for being lighter weight, and I guess that they get some of that weight savings by making the tires slightly smaller than competitors of the same listed sizes. I wouldn't buy again simply for the size running small. Haven't had a chance to get these out in any thick mud yet, but I can't wait. They look amazing anyway, certainly an upgrade from the 17 year old stock tires. Very positive experience buying from Pure Offroad. These tires are great!!! I would recommend going with the same size that your ATV came with from the factory. It does reduce your power when you goo with a bigger size. I didn't realize how much more tread these have than the original tires had on them. Really like the new tires. Really like the tires and the shipping was excellent!!! Great service and shipping was very quick! The tires are great too! Great tires. Of course I bought a set but they came at different times but I can tell you that they are really great in the snow. Being in the snow belt of Michigan and we get plenty of snow. The original tires weren't cutting it on my 2008 Honda Rincon. But now it's unstoppable. I noticed that the zilla tires are smaller in size but I think they are because they want to keep the tires lighter so they turn well. Now that they grip you lose HP . So I would keep the tires the original size or you might have issues with your ATV not turning the tires that you are use too. Received tires in great condition. Have already tested and much better than stock on my Polaris sportsman 570. Got the 28inch. Tires look better in person then in pictures. Fantastic customer service and delivery time. Going mudding this weekend to try them out. Absolutely the best price and customer service. Love the new tires. Great tires, service and prices!!! This is the 4th time purchasing from puroffroad.com and everytime it's the best price I can find, and very fast shipping! Thanks for amazing service yet again! repeat customer, will never buy from another tire dealer again... thanks again! Great tires, everything arrived in one delivery and shipping was Lightening Fast as they are famous for. Will buy from Pure Offroad again! Great price, good customer service, and quick free shipping, great place to shop online. These tires are wild, I put them on my ezgo gas golf cart. Staggered front to back, 24-8/12s and 25-10/12s. The skinnys up front help going thru sand. Next is installing my 35 hp 1000cc vanguard big block to smoke them off. Recieved my tires the day after ordering. The tires are pretty good except that one of them got a hole in it only the 2nd time i used them. these tires are awesome - got about 300 miles on them - my buddies have swamp fox plus and these are better! run through corn fields and woods with no punctures. these things will throw mud like crazy. good luck getting stuck. Q: How do these tires measure compared to the listed size? Looking for 28x10/12 all around. Also, what is the minimum rim width for a 10" wide tire? A: The height of the tire can vary depending on the size of rim, air pressure etc.. This tire usually measures around 1 inch shorter than it's advertised. We recommend using a 7 or 8 inch wide rim for the 10 inch wide tires. Q: are these puncture resistant? A: These are 6 ply so yes they are pretty durable and puncture resistant. That being said.. these are a lightweight tire so there are definitely other options out there that would be more durable and puncture resistant. These are about average for puncture resistance. Q: What is the weight of the tire?? A: Each size has a different weight. Scroll down to the description of this product and you'll see the weights listed. Q: Do the Maxxis Zillas come with the rims?? A: Rims don't come with the tires. But if you buy rims and tires on the same order we can put them together as a kit. A: Yes, from the feedback we've heard from customers the 28 inch Zillas would clear on your machine just fine. Q: looking to match up the front tires I just purchased from you. Do these come in 24x9-12? A: These come in a 24x8-12, they are just 1 inch skinnier, that's the closest size we have in this style. Q: Are the 28x9-14 and 28x11-14 in Stock? A: Today we have 6 of the 28x11-14 left in stock. The 28x9-14 are out. This changes from day to day. Q: Could you please tell me if these tires work on for a 3 wheeler or is it strictly for 4 wheelers? Thank you! A: Yes you could use these on the 3 wheeler. Q: Is there enough clearance to put 25s on my 01 500 4x4 scrambler rear tire? Q: Is there enough clearance to run 25s on the back of a 2002 Honda recon 250? A: Yes you can fit 25 inch on the back of your Recon. Q: Just wondering what is the largest zilla tire I can fit on a kingquad 750 on stock suspension? I'm looking at possibly 27' tall tires. Would these fit with no issues? A: Yes you can fit the 27 inch Zillas on your King Quad. That is the largest we would recommend without a lift kit. Q: Stock steal rims on Honda foreman 500 25by8-12 front 25 by10-12 back what is the biggest tire I can go with and still fit these rims max is Zola? A: Most of our customers just do a 26-9-12 front and 26-11-12 rear. But we've had some guys run the 27-9-12 front and 27-11-12 rear. Q: Clarification on my question. Will the 28 in tires fit on a 2019 Outlander XT 1000R ATV? A: Yes the 28 inch Zillas will fit.